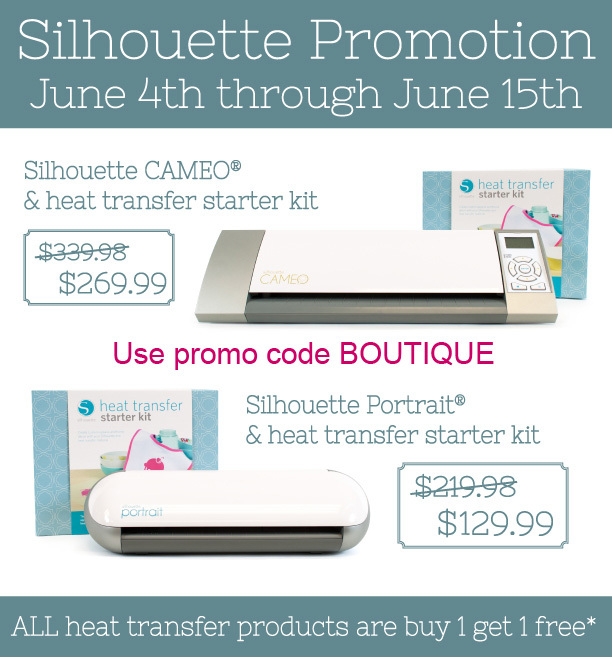 Before I announce the winner, remember, you have through June 15th to take advantage of this sale! You will love the heat transfer material, it cuts like butter!! Click here and type in the Promo Code BOUTIQUE when you order to receive the savings. OOOOHHHH LOVE the pretty color and all of the sparkle and shine! Congrats Angi! Please email your address and contact information to me at lkaisermt@gmail.com so we can send you this amazing machine! Congrats Angi! Hope you enjoy your new machine! Oh wow...the good news just keeps on coming! I got some other good news this morning and now I won this! Thank you sooo much Linda! I've been wanting one for a long time! Hugs!!!! Congratulations Angi, you must be soooo excited! And thanks to Linda for the chance to win this fantastic prize.